1.You can modernize your CAD for 1/5 the price of AutoCAD. 2. Bricscad offers full-function 2D/3D DWG-based CAD and a compelling technology roadmap. 3. Bricscad comes with friendly upgrade policies. 4. 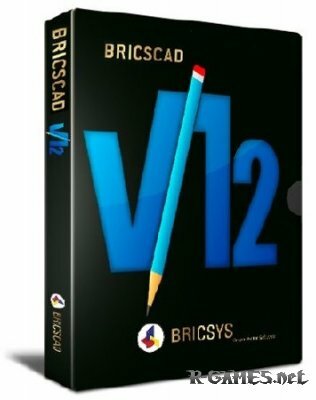 The people behind Bricscad are CAD veterans committed to world-class support. 5. Most users are transitioning from AutoCAD to Bricscad in one week or less. 6. Bricscad has over 100,000 users around the world and earned a 98% satisfaction rating. 7. 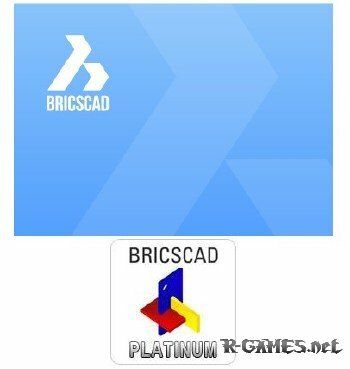 Users and administrators in organizations with both Bricscad and AutoCAD prefer Bricscad. 8. Bricscad offers an AutoCAD-compatible programming platform that supports existing applications. 9. Increasingly, top developers are offering their existing AutoCAD applications and add-ons on Bricscad. 10. You can try it right now for free! V13 is not binary compatible with V12. API's have changed and V13 is built using MSVC2010 instead of MSVC2005. Most 3rd party applications/tools, except scripts and applications written in Lisp, will need to be rebuilt by their manufacturer in order to run on V13. This also implies that Windows XP users have to make sure to use Service Pack 3 or higher. Uses .dwg files organized in hierarchical structures of mechanical components to model complex products. Example projects are provided in the SamplesMechanical folder. Standard X-Hardware parts (screws, nuts, bearings, ...) can be used as mechanical components. MECHANICAL BROWSER: browse the component hierarchy. BILL OF MATERIALS: list top-level or bottom-level mechanical components used in a drawing. ASSEMBLY CONSTRAINTS: apply 3D constraints between faces and edges of different mechanical components. KINEMATIC ANALYSIS: use DmMove and DmRotate commands for real-time solving of forward and inverse kinematic problems. 2D CONSTRAINTS: EXPRESSIONS can now be used to define 2DCONSTRAINT dimensions. CLEANUNUSEDVARIABLES command purges variables not used in constraint expressions and not linked to dimensions. Constraints can now be imposed between sub-entities of block references. Constraints are now maintained on COPY/COPYCLIP/PASTECLIP/BLOCK/INSERT/EXPLODE/WBLOCK commands. DMANGLE3D: the axis for 3D angle constraints can now be chosen (automatically or manually), allowing to change the angle parameter over 180 degrees. ARRAY dialog: offers control and feedback for the various array command settings. ATTREDEF: command for redefining attributes of existing blocks. ATTSYNC: command for synchronizing attributes of block inserts whose attribute definitions were modified. BATTMAN: dialog for managing attribute definitions of existing blocks. Added support for Locked position and Multiline properties of attribute entities. AUTOCOMPLETE: command line auto completion. CHAPOO has been integrated into BricsCAD. CHAPOO allows to upload, share, view, annotate drawings and documents. Chapoo will become functional when the servers become available online. Commands: CHAPOOOPEN, CHAPOOACCOUNT, CHAPOOLOGON, CHAPOOLOGOFF, CHAPOOHOME. DIMREASSOCIATE: command for (re)associating dimensions to existing entities. DMMOVE/DMROTATE commands can now be applied to block references. DMREVOLVE/DMEXTRUDE: can now be applied to faces of solids. DMROTATE/DMREVOLVE: cylinders and other axial surfaces can now be used as rotation axis. DMSELECTEDGES: Quad command for faster 3d solid edges selection. system variable to configure the priority of the docking areas in the BricsCAD application window. The priority sequence used to be hardcoded: Top > Bottom > Left > Right. Now it was made configurable and the new default is Top > Left > Right > Bottom. When e.g. docking the Properties Bar at the right and docking the command line contol at the bottom, the command line will no longer claim the full width but instead give way to the Properties Bar to extend to the bottom. DYNAMIC UCS: dynamically align the UCS with faces of 3D solids when hovering over these faces during execution of commands. UCSDETECT system variable controls activation of dynamic UCS detection. Press the F6 key or click the DUCS field on the status bar to toggle UCS detection On/Off. HIDE: enabled the HIDE command in paperspace and added the 'Hide paperspace objects' option to the Print settings. MLINE: command for multiline creation. Support for snapping and grip-editing of multilines has been added. MLSTYLE: command for creating and editing multiline styles. PARALLELIZATION: enabled multi-threaded display regeneration, using multiple processor cores. MTFLAGS and MAXTHREADS system variables were added to control multi-threading aspects. SHADE PLOT: property for paperspace and modelspace viewports . This property is applied during printing, it overrides the visual style of a viewport. Enabled printing of layouts containing combinations of viewports using different visual styles. DISPPAPERMARGINS: system variable to control the display of the printable area. SR28726, SR29997, SR33003, SR33335, SR33890 and others - PRINT: implemented support for fine-tuneable printing of transparent images. When a problem is encountered while printing transparent images to a certain printer type, the ImagePrinting.xml configuration file in the plotter configuration folder now offers improved control by allowing to override the default settings with specific per-printer settings. The file contains documentation on how to use it. SR34409 - PRINT: added support for plot style's line-end caps and joints in plot and plot preview. TrueType fonts can now be printed as text instead of geometry, which makes them searchable in PDF prints and which reduces the size of the print output. This is controlled by the "Truetype Text" setting in the PC3 file, and if no PC3 is used, by the system variable TTFASTEXT. If TEXTFILL is off, text is always printed as geometry. BACKGROUNDPLOT: system variable controls whether documents are published in the current session or in a BricsCAD session running in the background, thus allowing to continue drawing while printing. /pl command line switch has been added for background (silent, without showing the main program window) publishing using DSD files. Format is '/pl [[path]name[.ext]]'. If the file name parameter is absent, the program just exits. If the file extension is absent, ".dsd" is added to the filename. File searching is done according to usual OS rules. If the DSD file is found, publishing is invoked according to the DSD file, and upon completion the program exits. When BricsCAD is started with the '/pl' switch, it ignores the SingletonMode setting thus allowing multiple instances. Page Setups from other drawings can now be imported. SR35875: added 'Move Sheet(s) Up/Down' and 'Reverse Sheet Order' buttons and functionality. QLEADER: command and dialog were added. They allow to avoid specifying the same leader options over and over again. Commands: SHEETSET, NEWSHEETSET, OPENSHEETSET and SHEETSETHIDE. System variables: SSFOUND, SSLOCATE, SSMSTATE. Added support for .xtp import. TOOLPALETTESCLOSE command closes the Tool Palettes window. TPSTATE system variable indicates whether the Tool Palettes window is open or closed. Tabs are automatically resized according to the tab text extents. Tooltips are shown in case the text doesn't fit the tab size. Tooltips and descriptions for each tool. New and Delete menu options were added for palettes. Insert blocks at mouse release position. TOOLBAR COMBO BOXES: have been added for layer filters, layer states and dimension styles. All toolbar combo boxes now have adjustable width. Model layout: set up the unit type, drawing scale factor and paper size. Named layout: create, align and scale a set of layout viewports. ALIGNSPACE: command to adjust viewport angle, zoom factor and pan position based on alignment points specified in model space and paper space. Alt + Left Mouse Button to 'walk' forward/backward and sideways, using the new RTWALK command. Alt + Middle Mouse Button to move up/down and sideways, using the new RTUPDOWN command. Ctrl + Middle Mouse Button to look around, using the new RTLOOK command. Shift + Right Mouse Button now brings up the snap menu instead of the former Ctrl + MMB combination. Ctrl + Home key sets the view direction to horizontal. Alt + Home key moves the target point to the center of the scene/drawing. Alt + Plus/Minus keys from the numeric keypad = increment/decrement movement speed, by modifying the new RtWalkSpeedFactor preference setting. Ctrl + Plus/Minus keys from the numeric keypad = increment/decrement rotation speed, by modifying the new RtRotationSpeedFactor preference setting. WORKSETS: command for working with named groups of drawings. SR35484 - SuppressDataLossWarning: new preference that allows to suppress the warning dialog when saving drawings to older dwg formats which do not support certain entity types. Upgraded to V3.6 Open Design Teigha libraries. 3D CONSTRAINTS: improved the DMANGLE3D initial angle value computation and dynamic dimension positions. DIRECT MODELING: DMPUSHPULL now highlights a face used as reference for a dynamic dimension. PDFUNDERLAY: snapping to PDF underlay content worked only if the actual snap point was in the aperture. Now it works as soon as part of e.g. the line is in the aperture. RENDERING: improved RedSDK hardware detection, such that when hardware rendering is not possible, BricsCAD can switch to software rendering more gracefully. the backside of double sided OdDbFace objects was drawn in a dark color, unlike the front side of the object. dark objects were tinted green. SUBENTITY SELECTION: enabled selecting and TAB-cycling through faces and edges of nested solids in block references. SR27347, SR28240 - DIMENSIONS: added support for creation of associative dimensions using NEAREST snap. SR29126 - DIMENSIONS: the dimstyle's DIMLFAC was not applied when dimensioning a modelspace entity in paperspace. SR32692, SR34446, SR35215 - OFFSET: added command options LAYER, UNDO and EXIT. SR33737 - DIRECT MODELING: improved the behavior of DMPUSHPULL on models with constrained cylindrical fillets. SR34472 - LAYER STATES: when a layer state is imported, a message box is displayed asking the user if the imported layer state should be restored. SR34938, SR34975 - LAYER: the MATERIAL option was added for the -layer command. SR35159 - COPY: when pressing and holding down the Ctrl key while dragging a selection set, the selection set is copied instead of moved when the mouse button is released. SR35514 - TOOLPALETTES: extended the search path for block reference tools. SR35544 - APPLOAD: renamed "Select LISP or DRX Files" dialog to "Select Application Files". This dialog opens when clicking the 'Add...' button in the 'Load Application Files' dialog. SR36254 - PDFEXPORT: strongly reduced size of PDF files with embedded TTF fonts, by omitting the definitions of unused character glyphs. SR36419 - 3DCONTEXT: when using the 3Dcontext command, a warning message will now pop up if hardware-based rendering is not supported. SR36711 - TABLE: Table Cell margins can now be set in the properties palette, when a cell or range of cells is selected. SR32046 - PRINT: improved print output for TTF fonts that require a non-standard approach for rendering the character glyph contours. The improvement is not applied when clipping is involved, e.g. with viewports or xrefs. V13 contains hundreds of fixes that have become available by upgrading to V3.6 of the Open Design Teigha libraries. These fixes are not listed here. DELCONSTRAINT: not all constraints were deleted on two closed polyline triangles having constraints on them. Also, Delconstraint performance has been improved for drawings containing a large number of constraints. DIRECT MODELING: DMPUSHPULL reference faces were incorrectly sorted in the TAB-cycle. DRAWING EXPLORER - Page Setups: an exception occurred in scenario: Drawing Explorer/Page Setups > Page Setup dialog > Preview > close using the Esc key. DRAWING EXPLORER - Views, Background combo: when the 'Image' option was selected the first time, a bogus error message box appeared - "Can't load image from file ''". LAYERFILTERS: instead of color names, color indices are now stored in layer filter definitions. PDFUNDERLAY: last segment of closed polyline was ignored during snapping. TEXTSCREEN: upon startup, the textscreen should not appear even if WNDLTEXT is on. SR16294 - DRAWING EXPLORER, Images: disabled 'Rename' option in 'Edit' and context menu (Images cannot be renamed). SR19619, SR30249, SR35892 - RASTER IMAGES: when interpreting image geo referencing world files (such as .tfw and .jgw files), the image origin, scale and rotation were incorrect. SR21745 - CURSOR: aperture box was visible when no command was active. SR23409 - DIMARC: creation failed for arcs at large coordinates. SR24910 - RASTER IMAGES: OpenGL graphics device always used black foreground color for bitonal images, instead of the color of the entity. SR25031 - DIMENSIONS: DIMARC entities in layouts ignored DIMLFAC value. SR28120 - VIEWS: on creation of a view, when the ratio between the view's width and height was greater than the ratio between screen width and screen height, the view's height was adapted and stored accordingly. Now the value stored for the view height is no longer modified, but when the view is set current, the viewport height will be adjusted according to the screen size. SR28616 - RASTER IMAGES: when an image was inserted at large coordinates, the image disappeared and reappeared while zooming in/out. SR29800 - PROPERTIES BAR: the scale of blocks set to 'Scale uniformly', could not be modified from the Properties Bar. SR30056 - BLOCKS: an exploded block, inserted from disk, was not displayed during dragging. SR32206 - ATTEDIT DIALOG: attributes were not updated in the drawing upon pressing the Apply button. SR32741 - PDF UNDERLAY: a crash occurred when opening user-provided drawing with PDF underlay. SR32918 - 2DCONSTRAINTS: angular constraint for an orthogonal pair of lines or points gave undesirable result. SR33007 - CONSTRAINTS: glyphs that depend on a UCS to make sense now show a different bitmap if the current UCS is not parallel to the one they were created in. For example, if a line was made horizontal in WCS and then the UCS is changed to be at an angle, the line appears to be at an angle to the UCS-X (but horizontal in WCS), thus causing confusion. This is addressed by showing a different horizontal bitmap with small blue UCS axes. SR33021 - DIMENSIONS: associative rotated dimensions disappeared (collapsed) after modification (e.g. STRETCH) of the dimensioned entities. SR33277 - DWGPREFIX: when a new/unsaved drawing is opened, the DWGPREFIX variable should point to the BricsCAD startup folder. SR33898 - DISPLAY: the cursor pickbox was not undrawn when a command was started, it was undrawn only after a mouse movement occurred. This was not always reproduced, usually it occurred with commands without pop-up menu (e.g. start of LINE). SR33919, SR34562, SR34897, SR34898 - HATCH: fixed TRIM problems. SR34472 - LAYER STATES: after importing a layer state file (.las) and then switching to the Layer view in the Drawing Explorer, the layer overview briefly displayed the new layers and then got reset to show only layer 0. SR34499, SR35307 - PDF EXPORT: when arc segments of a polyline were exported to PDF, they were represented as a chain of lines instead of arcs. SR34651 - HATCH: fixed calculation of hatch area for boundaries containing overlapping curves. SR34686 - DRAWORDER: was undesirably changed in a group during selection preview highlighting. SR34711 - PRINT: some holes in solid hatches were ignored and filled. SR34776 - 2DCONSTRAINTS: creation of constraint glyphs on drawing open can take long in drawings containing many constraints. Now glyph creation is deferred till actually required. SR34906 - SNAP: calculation of CENTER snap for polylines is made more precise for polylines with large coordinates. SR35036 - DISPLAY: attribute objects on layer "0", with BYLAYER color, were displayed with wrong color after one of the layers was frozen in the PS viewport (regression in V12). SR35091 - GRIP-EDIT: when an entity was edited by grip points, it disappeared when zooming with the mouse wheel. SR35297 - FILLET and CHAMFER: option POLYLINE gave incorrect result for polylines with non-zero global width. SR35313 - CRASH: a crash occurred when working with a drawing containing a layer with an invalid material id. white line artefacts occurred at the borders of adjacent (clipped) images. when zooming out images disappeared too soon. SR35356 - SNAP: the marker size was dependent on the size of the view in perspective mode. SR35372 - UNDO: undo chain got broken after AUDIT of blocks. SR35415 - AUDIT: added missing linefeed in audit output. SR35420 - DYNAMIC BLOCKS: draw order inside dynamic block got lost after editing a dynamic block property. SR35552 - STRETCH: failed for user-provided scenario. SR35568, SR35764 - REFEDIT: when an entity was removed from the working set in REFEDIT session, it was no longer displayed. SR35572 - REFEDIT: a crash occurred when executing UNDO after all entities were erased during a REFEDIT session. SR35580 - BIGFONT DISPLAY: accuracy was insufficient. SR35608 - SCALE LIST EDIT: on resizing the scale list edit dialog, the list of scales expands according to the available width. The entries in the list also expand according to available width. Before this fix, the entries took up only about half the width of the list and the list did not get wider when resizing the dialog. SR35752 - LINE: construction of line tangent to two arcs has been fixed. SR35770 - APPLICATION WINDOW SIZE: when the application window was not maximized, WNDSMAIN window size was stored in registry 1 pixel too small in both directions. SR35775 - TOOLPALETTES: forced the display color of blocks to always use black regardless of background color. SR35815 - REFEDIT: draworder was not saved by REFCLOSE/SAVE. SR35822 - CHAMFER: display of chamfer angle was in radians, while it should be using the current angle format (AUNITS). SR35834 - PEDIT: option multiple, option join: the [Jointype] keyword could not be translated in localized versions. SR35876 - TEXTFILL: when printing an area containing clipped parts of texts, Textfill = OFF setting was ignored. SR35921 - TABLES: could not change multiple cell values via Properties Bar. SR35935 - EXTRUDE: operation failed for closed polylines with identical start and end points. SR36036 - PLOT: corrected the prompt for saving changes to print settings to a layout. SR36042 - DYNAMIC BLOCKS: when changing dynamic block parameters, block attribute visibility was not set correctly. SR36047 - 3DFACE: option "_invisible" was rejected for the second edge, if the first edge was also defined as "invisible". SR36163 - STRETCH: some of the line endpoints within the crossing window were not picked up by the stretch command. SR36183, SR36206 - DISPLAY: polylines with thickness and dashed linetype were displayed with zero lineweight when viewed from the top. SR36367 - HATCH: area calculation incorrectly gave a 0 result for a hatch contained in a user-provided drawing. SR36462 - PRINTING: when Print settings in the Print Preview was clicked, the Page Setup dialog was opened instead of the Print dialog. SR36496 - FOCUS: when moving the cursor over the drawing view, while working in an application window, the focus undesirably switched to the drawing view. SR36535 - BLOCKS: the block description was not transferred when the Drawing Explorer was used to populate a toolpalette with blocks. SR36664 - UNDO: when a drawing contained Light object(s), and _undo group/begin/end was used, a crash occurred. SR36712 - MENU: after loading a partial cui file with MENULOAD, accelerator keyboard shortcuts no longer worked. SR36764 - VBA: after loading a password protected dvb project with the VBA Manager, the VBA IDE was disabled. BRX: during reactor events in "beginDeepCloneXlation", in Undo condition, using odOpenObject() to open an object already opened in kForWrite mode always triggered an "eWasOpenForUndo" error. Re-opening in kForWrite mode is allowed now. LISP: fixed (vlr-reaction-set ) - the newly assigned function was not used for the reactor event. LISP: improved and fixed (vle-end-transaction), cursor display has been corrected, using a nested start/end transaction is now possible. LISP: improved (vl-getGeomExtents arg) - the 'arg' argument can be an entity name, a list of entity names, or a SelectionSet. LISP: made the Lisp engine more stable if an unhandled exception happens during (command), (entmake) and (entmakex) calls. Reactors: corrected the triggering of reactor events and related operations to make behavior symmetric and logically correct. VBA: improved error messaging on dvb files loading/saving. Now the actual system message is shown instead of a general "The parameter is incorrect". SR24750 - BRX: fixes were applied to OdGeCurveSurfIntImpl::set. SR29038 - BRX: AcDbLoadHatchPattern did not reload the Hatch pattern when called a second time. SR30826 - BRX: OdDbTableStyle::setTextHeight returned wrong height. SR32926 - LISP: when lisp expressions were used within an undo group (between undo begin/end), a single step UNDO only undid part of the operation. SR32941 - LISP: (vl-string-translate) parsed the source string for each character in destination character set, which could result in wrong result string. SR33527 - LISP/DCL: (init_dialog [baseDclFile]) is a new BricsCAD-specific LISP function to fine-tune DCL file loading behaviour: it instructs the BricsCAD DCL engine to use the specified file as custom "base.dcl" file. If the argument 'baseDclFile' is omitted or nil, internal DCL defaults are used. If the argument 'baseDclFile' is given and not nil, it must be a valid filename. The function returns 't' for success, or 'nil' to indicate an error. SR34161 - .NET: implemented Teigha.DatabaseServices.Polyline.ReverseCurve(). SR34406, SR34407 - ENTSEL: the function entsel did not switch off rubberbanding, for instance when nested inside a LINE command. SR34927 - BRX: opening the Text Style Dialog (Drawing Explorer) after a call from BRX made BricsCAD unstable. SR34995 - LISP: entget() error occurred after purging a block. SR35290 - COM: implemented property IAcadPolyfaceMesh::put_Faces(VARIANT). SR35358 - BRX: OdDbTableImpl::hitTest was corrected. SR35370 - DCL: a dcl image component could be displayed in a slightly wrong position, shifted 2 pixels to the left and 2 pixels to the top. This happened because the layouting of the image could be skipped in rare circumstances. Fixed by setting the proper position when creating the image, which happens even if layouting does not happen. SR35385 - LISP: when one drawing entity had multiple (vlr-object-reactor) instances attached and 1 instance was removed from the entity, all other reactor instances also were no longer triggered. SR35452 - LISP: when Lisp reactors were used with database-related events, a (hidden) access violation occurred during document close. SR35453 - LISP/SDS/BRX: improved API compatibility for getenv/setenv functionality - AutoCAD-specific environment variables "ShowTabs", "ShowPaperMargins", "ShowPaperBackground" are now automatically redirected to the appropriate BricsCAD variables. SR35517 - BRX Object Property Manager: different visibility of the same property with multiple entities selected was not respected. SR35553 - BRX: the IAcPiPropertyDisplay interface was not supported. SR35649 - COM: the properties AcadBlockReference.XScaleFactor/YScaleFactor/ZScaleFactor should ignore the insert units of the AcDbBlockTableRecord. SR35808 - LISP: fixed problems with (vle-entget) and (vle-entmod) using DXF codes 10 and 11, using incorrect coordinate system (OCS vs. WCS). SR35836, SR35806 - LISP: fixed problems with (equal) and (assoc) using VLA-OBJECT items. SR35940 - ALL APIs: (entmod) / sds_entmod() / AcDbEntMod() triggered multiple reactor events while an entmod operation should be treated as a single database operation. SR35959 - OLE: cloned OLE objects could not save changes, they always kept the data from the original OLE object. assigning a non-existing plotstyle name for entities failed, but should create a placeholder, like it is handled for layers. SR36040 - ALL APIs: depending on the orientation/sequence of points p1 and p2, ssget("W", p1, p2) resp. (ssget "W" p1 p2) sometimes incorrectly returned an empty selectionset. SR36051 - LISP/DCL: different from documented, AutoLISP (set_tile key value) accepts "value" to be a numeric value (integer, double) while the same failed with BricsCAD, which strictly followed documentation. BricsCAD LISP behavior has been made more forgiving so numbers are converted into strings automatically. SR36051 - DCL: added means to specify multiline column labels in a list_box. BricsCAD-only dcl attributes bcad_skip_next_child and bcad_label have been added. In a dcl file, the line bcad_skip_next_child=true; can be used to skip the dcl component right after it. The skipped dcl component can be at any nesting level, it can be an attribute or a complex component. The attribute bcad_label can be used in a list_box to specify column labels. Column labels are tab (t) separated. A column label can contain newlines. If bcad_label exists in a list_box, the label attribute is ignored. Both bcad_skip_next_child and bcad_label will be ignored on other dcl engines. This allows to specify true multiline column labels on BricsCAD and yet have a decent fallback on dcl engines that do not support true column labels. SR36069 - COM, VLAX: IAcadDictionaries::Add() and IAcadDictionary::AddObject() incorrectly erased an existing dictionary entry, when a new one using the same name ("key") was added. SR36098 - LISP: improved Lisp syntax diagnostics by checking for balanced () brackets. SR36132 - ALL APIs: setting GRIPS=0 failed to remove the grip markers from selected entities. SR36133 - ALL APIs: when a gripped entity was modified through a database access function, the grip markers remained at original positions, instead of being updated with the entity. SR36143 - ALL APIs: (nentsel) / sds_nentsel() / acedNEntSel() ignored empty prompt string "" and used the standard "Select objects:" prompt instead. SR36157, SR36251 - ALL APIs: (handent) resp. sds_handent() / AcDbHandEnt() could return a valid entity for an improper handle string (i.e. "X12E" returned a valid entity) - this has been fixed. SR36199 - LISP: reactor management - if a new reactor instance was created during reactor callback processing (when both reactors are of same type), the newly created reactor was not respected, and therefore not notified. SR36210 - LISP: (vl-getGeomExtents ename) is a new Lisp function to retrieve the geometric extents of an entity as list of 3D point (pointMin pointMax) in WCS (or NIL in case of an error). SR36247 - LISP: added BricsCAD-specific COM function (vla-getreferences blockObject). SR36256 - -LAYER command: option 'linetype' should not allow to use the 'ByLayer' and 'ByBlock' types. SR36271 - LISP/SDS/BRX: ssadd(ename) function should only allow "entities", but reject "objects" like e.g. table entries. SR36310 - LISP/SDS/BRX: intersection of OdDbFace objects consisting of 3 points instead of the usual 4, returned only a single point instead of two. SR36334 - LISP: if owner objects were added to an already persistent reactor, these owner objects were not stored with the persistent reactor. When the dwg was re-loaded, those added objects did not trigger the reactor events. SR36342 - DCL: in a list_box, a character key can be pressed to navigate to an item that starts with that character. However, when doing so, no callback was triggered. SR36397 - LISP: a dwg file, saved by AutoCAD, containing empty (released) persistent Lisp reactors, could be opened in BricsCAD, but re-opening after saving the file failed. SR36401 - LISP,SDS,BRX: when using getdist(), a preceeding call to initget(64) was ignored and the distance was always returned as 3D distance. SR36406 - DCL: the minimum width of a popup_list was too large. SR36441 - LISP: (ver) function, indicating the x86 or x64 platform, did not return appropriate results. SR36528 - BRX: sometimes the unloading process of BRX modules was interrupted, which caused the BRX module to remain loaded. SR36661 - LISP: regression in (vl-sort-i) function - when the provided list had only 1 item, that list was directly returned, instead of returning the appropriate item index list. SR36671 - LISP: (vlax-add-cmd) caused an exception when running it in a different document. Now it issues an appropriate error message instead.